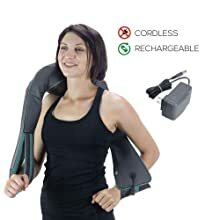 You won't believe how great you'll feel after a session with InstaShiatsu Plus - Your personal masseuse! 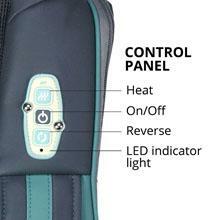 The InstaShiatsu Plus has only three simple buttons and a convenient LED indicator light. Simple as can be. Heat and reverse are available too. truMedic includes everything you need, right in the box. Also included is a free fitted carrying case! The truMedic InstaShiatsu Plus is great for massage all over your body. 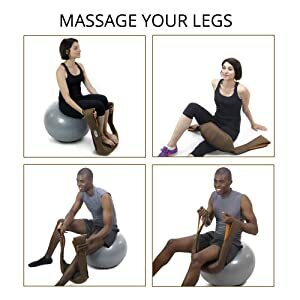 Try it on your legs, hamstrings and more. You know best exactly where the pain is. 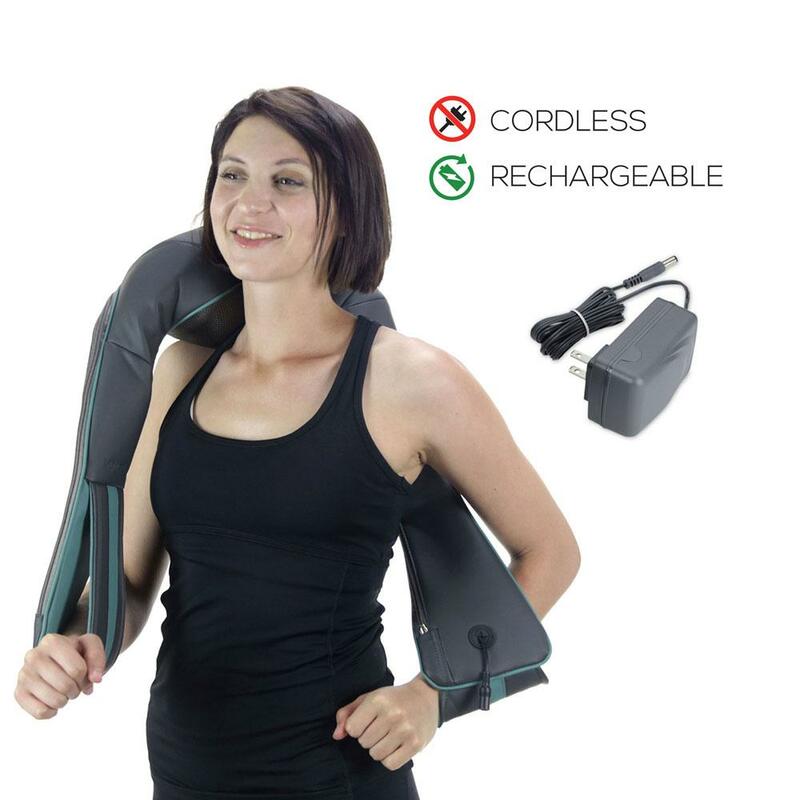 Just relax your grip and the InstaShiatsu Plus will massage your middle or Lower back. By pulling tighter or relaxing your grip, you can apply just the right amount of force for a perfect massage. You'll swear there's a real person massaging your every kink and knot out. 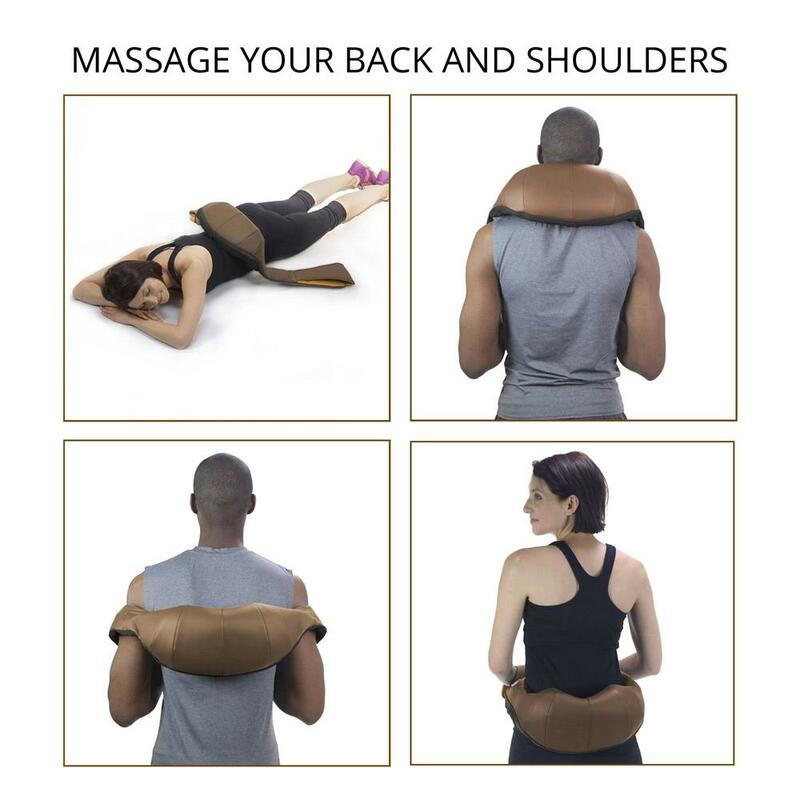 It's like having a full-size massage chair at your fingertips, only without the chair! 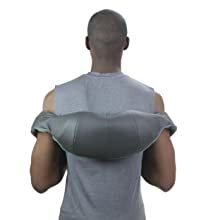 You carry relief with you everywhere you go. Take it to work, to the gym, even the park! You can experiment with the InstaShiatsu Plus to find body areas and positions that make you feel great. 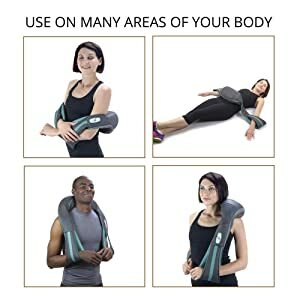 You'll find that the more you use it, the more uses you'll have for it! 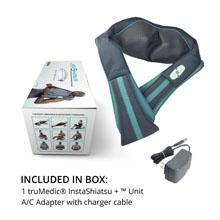 As an added bonus, every purchase of the truMedic InstaShiatsu Plus includes a free fitted and color-matching carry case.